Soul legend, Jean Carne will be performing her only 2013 shows at the Millfield Theatre, Edmonton in March. Singing all her classic songs including 'Don't Let It Go To Your Head', 'Free Love', 'If You Don't Know Me By Now' and more, Jean is making a rare exclusive appearance in North London and should not be missed by any true soul fan! She began her recording career with her then-husband, pianist Doug Carne, founder of Black Jazz Records. Jean Carne is acknowledged for being one of the first African American women to define her own voice and image, rather than being moulded by the industry. She performed with Duke Ellington, the last vocalist to do so before his death. 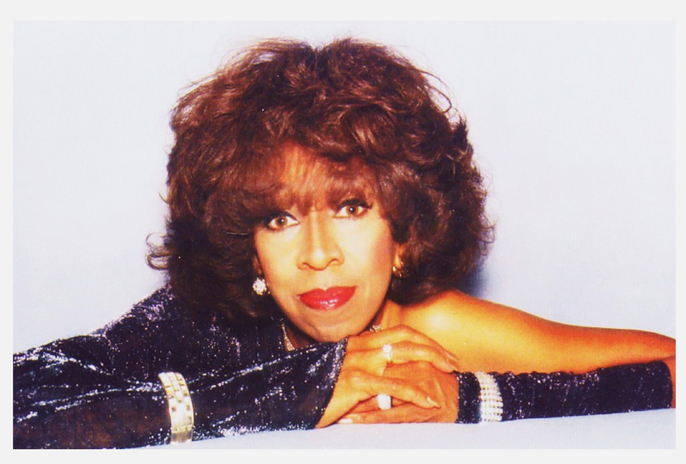 She recorded her three iconic albums for Gamble And Huff’s Philadelphia International between 1977 and 1979 introducing her to pop and R&B audiences for the first time. Hits included ‘Free Love’, ‘Don’t Let It Go To Your Head’ and ‘My Love Don’t Come Easy’. Jean then relocated to Motown Records for 'Trust Me', which provided her first major singles success with 'If You Don't Know Me By Now', which was recorded with The Temptations. In 1986 she moved to Atlantic Records to record the chart-topping R&B hits, ‘Closer Than Close’, ‘Flame Of Love’, ‘Everything Must Change’ and ‘Ain’t No Way’.